We’d love your help. Let us know what’s wrong with this preview of Munich by Robert Harris. Set over four days against the backdrop of the Munich Conference of September 1938, MUNICH follows the fortunes of two men who were friends at Oxford together in the 1920s. Hugh Legat is a rising star of the British diplomatic service, serving in 10 Downing Street as a private secretary to the Prime Minister, Neville Chamberlain. Paul von Hartmann is on the staff of the Germ Set over four days against the backdrop of the Munich Conference of September 1938, MUNICH follows the fortunes of two men who were friends at Oxford together in the 1920s. Paul von Hartmann is on the staff of the German Foreign Office – and secretly a member of the anti-Hitler resistance. They have not been in contact for more than a decade. But when Hugh flies with Chamberlain from London to Munich, and Paul travels on Hitler’s train overnight from Berlin, their paths are set on a collision course – with dramatic results. To ask other readers questions about Munich, please sign up. IS THIS BOOK ON THE NY TIMES BEST SELLERS LIST? Gustavo Vidal Yes, it is . 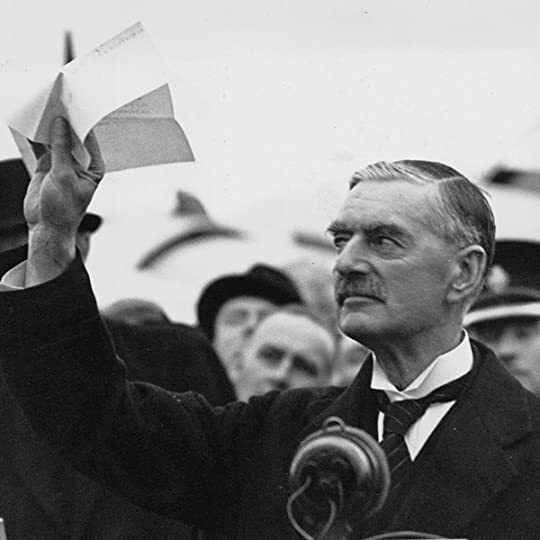 Neville Chamberlain, waving the Munich Agreement in the air, proclaimed that it meant “peace for our time.” Unfortunately, he was wrong. In September of 1938, the Prime Minister of Great Britain, Neville Chamberlain, flew to Munich, Germany, to meet with Adolf Hitler to discuss the Sudetenland area of Czechoslovakia. There were several million people of German extraction living in that region, and Hitler wanted to annex the area to Germany, as he had Austria. Chamberlain hoped to fulfill a Shakespeare quote from Henry IV: ”Out of the nettle, danger, we pluck this flower, safety.” He was for appeasement, and Winston Churchill was against appeasement, believing that Hitler could never be appeased. Hitler would always want more. What is interesting about this book is Robert Harris gave me a more sympathetic view of Chamberlain. I have always thought of him as a naive, blundering fool, which was really way too harsh of an assessment. He was wrong about being able to make Hitler content with a slice of Czechoslovakia, but he was not naive or blundering. He was simply trying everything he could to keep war from breaking out. Something I didn’t realize, until I did some more research after reading this book, was that Czechoslovakia had built up some major defenses in the Sudetenland, probably because they knew the most likely threat to their country would come from Germany. When Britain, France, Germany, and Italy came to the agreement to hand that area over to Hitler, they seriously diminished Czechoslovakia's ability to defend themselves. Hitler, while touring the installations after acquiring the Sudetenland, determined that taking this piece of land would have had a high cost in German blood. The really crappy thing about the Munich Agreement conference was that Czechoslovakia was not even allowed at the table. Four European countries decided to give away Czech land in an attempt at appeasement without allowing them a voice at the table. The Czech’s did not refer to this decision as the Munich Agreement. They called it the Munich Diktat (Betrayal), and how can anyone blame them for feeling differently? Especially given how things turn out. Robert Harris built the story around two young men who were friends at Oxford. Paul Hartmann was a German diplomat, who was also a member of the anti-Hitler resistance. Hugh Legat was one of Chamberlain’s private secretaries. Both were involved with translating documents and conversations between leaders. Paul was desperate to get information to Hugh that might keep Chamberlain from signing the Agreement. Both men were watched very carefully by their own diplomatic corps, so exchanging information was not only nearly impossible, but also very dangerous if either was caught. Chances were slim for success, but very likely for failure. Paul was a nationalist who loved his country, but at the moment he was trying to determine if he could be the ultimate traitor. That’s always the great time machine question. If you could go back in time and kill Hitler, would you? Could you? What world would you return to? Neville Chamberlain, Édouard Daladier, Adolf Hitler, Benito Mussolini, and Mussolini’s son-in-law, Galeazzo Ciano. Robert Harris is the master at ratcheting up the tension as Paul and Hugh become more and more entwined in the deadly game of espionage. Who are you willing to betray? Your friends, your country, yourself? Harris has become a grandmaster of the intelligent, exhilarating thriller. It is always an event for me when a new Harris book is published. I know I’m going to be thoroughly entertained. I will be enriched with new historical perspectives. I will have an expanded knowledge of whatever subject he has decided to write about. It is always a pleasure, Mr. Harris. Robert Harris is one of my favorite authors of historical fiction, and he has another winner on his hands with Munich. It tells the story of two men, one German and one English, who play roles in the final meeting between Chamberlain and Hitler in 1938, when peace was still a possibility. The book is wonderfully written and researched and, as always with this author's books, I came away from it feeling I had learned something new. The characters are intriguing and the plot clever and well-paced. Robert Harris is one of my favorite authors of historical fiction, and he has another winner on his hands with Munich. It tells the story of two men, one German and one English, who play roles in the final meeting between Chamberlain and Hitler in 1938, when peace was still a possibility. The book is wonderfully written and researched and, as always with this author's books, I came away from it feeling I had learned something new. The characters are intriguing and the plot clever and well-paced. The only downside is that, of course, I knew all the while the outcome of the story. It is difficult to read about a meeting that could have changed history so monumentally, if Hitler had been a man with whom one could have reasoned. I don't know what could have been done to prevent Hitler and his madness at this stage, when he had the support of so many people behind him even though he made no secret of his intentions. There is a moment in the book when one of the characters is alone with Hitler just for a moment and the thought crosses his mind that he could kill him, but of course he doesn't in the end. He is afraid for himself and for the future, and in the end he doesn't act. I am never one to advocate violence, but I found myself wishing he would just do it, knowing my wishes would not be answered, that history cannot so easily be rewritten. It is chilling and horrible, and as a German, I find it really difficult to read about this time, though I do so often since it is so important to remember. Reading Munich, I also could not help but think of our current political climate, not only in the US but around the world. The extremist right has been gaining ground in recent years (I think of Marine Le Pen, Geert Wilders, the AfD...) and polarization is rending societies apart. The alt-right feels justified in openly pronouncing their credo of hatred and divisiveness. At the same time, I have to remind myself that this has caused me to be more politically aware than ever before and has roused so many to be engaged and active to fight the aforementioned. I suppose where I am going with this is that we have to keep remembering and we have to keep reading telling stories like Munich, because disaster can be averted when people are brave and vigilant and willing to act. Initially, this review was meant to be a few complimentary lines, but I guess it provoked more in me than that. Munich isn't the best book about the Second World War or Hitler, but it is among the best I have read about the window of time just before the horror began. It serves as a powerful reminder that we need to be aware and willing to act when we see injustice on any scale about to happen. I was looking forward to reading this new book by Robert Harris because he does a such a great job with historical thrillers. Based on the Oster conspiracy and the Munich Conference, two fictional friends from Oxford during the 1920’s end up on opposites sides of the negotiating table in an effort to prevent the war that is inevitable. I was surprised that the first half of this book was so slow. Everyone runs around to and fro delivering this message and that telegram with the requisite meetings I was looking forward to reading this new book by Robert Harris because he does a such a great job with historical thrillers. Based on the Oster conspiracy and the Munich Conference, two fictional friends from Oxford during the 1920’s end up on opposites sides of the negotiating table in an effort to prevent the war that is inevitable. Robert Harris offers up another wonderful novel that weaves together the events of history with some background fiction that only serves to accentuate the dramatic effect. It is 1938 and Europe is on the precipice of another war. Adolf Hitler has begun acquiring areas of neighbouring countries, citing their Germanic history, in order to build a stronger homeland. All the while, the world looks on, centred in London, where U.K. Prime Minister Neville Chamberlain is weighing his options. Surrounde Robert Harris offers up another wonderful novel that weaves together the events of history with some background fiction that only serves to accentuate the dramatic effect. It is 1938 and Europe is on the precipice of another war. Adolf Hitler has begun acquiring areas of neighbouring countries, citing their Germanic history, in order to build a stronger homeland. All the while, the world looks on, centred in London, where U.K. Prime Minister Neville Chamberlain is weighing his options. Surrounded by policy makers and some sycophants, Chamberlain has Hugh Legat as one of his private secretaries. Legat can see that the PM wants nothing more than peace, though may be blinded by the diplomatic approach many leaders take to problem solving. On the other side, Paul Hartmann is deeply embedded into the Nazi regime, though he is less than pleased with the way things are going. Hartmann knows that his Fuhrer wants nothing more than war and will connive to ensure that he gets it. These two men, Legat and Hartmann, share a pre-war history as friends in Oxford, though neither makes a great deal of that to their peers. With a last-ditch peace conference to save Czechoslovakia from the German carving board, Legat and Hartmann find themselves in Munich, ready to do whatever they can. The British have their allies France at the table, while Hitler has his devoted Italian fascist Mussolini to stroke his ego. Words are exchanged and a document is signed. However, before the ink is dry, Legat learns of Germany’s true intentions. Pulled in numerous directions, Legat must not only decipher where the truth ends and propaganda begins, but how to convince Europe’s preeminent leader what is actually going on. Harris balances the world opinion that Neville Chamberlain scored political points by bringing home the peace accord with the naiveté that both sides would adhere to it once hindsight could be applied. A strong piece that fleshes out some of the ‘what if’ and ‘if only’ aspects of this final salvo before Europe (and the world) turned back to the bloodbath that defined them. History buffs and those with a penchant for fast-paced thrillers will enjoy this story in equal measure. 3.5 Found this one to be hard to rate and review. The Munich agreement signed by Chamberlain and Hitler, was another part of history of which I had no knowledge. We hear from two men who had been friends in Oxford,one now serving as a newly minted secretary under Chamberlain, the other part of those with access to Hitler. A p!ot that was planned, but obviously never succeeded, for if it had the world would have been a much better place. Needless to say in politically placed books such as these, t 3.5 Found this one to be hard to rate and review. The Munich agreement signed by Chamberlain and Hitler, was another part of history of which I had no knowledge. We hear from two men who had been friends in Oxford,one now serving as a newly minted secretary under Chamberlain, the other part of those with access to Hitler. A p!ot that was planned, but obviously never succeeded, for if it had the world would have been a much better place. Needless to say in politically placed books such as these, that identify with a particular time and place, there are many characters involved, in England and in Germany. At times it dry, at times confusing, and at times suspenseful. Not sure how realistic his characterization of Chamberlain is, as I have never read much about that subject. As with all this authors works, it is intelligently written. Yet, I had a harder time connecting with this effort than with others of his I have read. I think for me there was just too darn much talking, planning and not enough action. Also, felt the tone varied little throughout, but this may be my perception. It was, however, interesting to read about the beginning, or nearly so, of his early biases and plans. With the recent movies on Winston Churchill it’s refreshing to see someone focus instead on his overlooked predecessor, Neville Chamberlain, and his significant role in the lead-up to World War 2. In Munich, Robert Harris takes us back to 1938, the year before the war started, and the crisis in Czechoslovakia: Hitler wants to unite the German-speaking peoples in the Czech Sudetenland to the Fatherland, and will use force if he has to. Should he invade, France will be bound, by treaty, into fight With the recent movies on Winston Churchill it’s refreshing to see someone focus instead on his overlooked predecessor, Neville Chamberlain, and his significant role in the lead-up to World War 2. In Munich, Robert Harris takes us back to 1938, the year before the war started, and the crisis in Czechoslovakia: Hitler wants to unite the German-speaking peoples in the Czech Sudetenland to the Fatherland, and will use force if he has to. Should he invade, France will be bound, by treaty, into fighting Germany, which will bring in Britain as well due to a treaty with France. Chamberlain leads the delegation for appeasement to stop the war at the Munich conference. Having studied this period of history, the impression I’ve always had of Chamberlain was of a weak old man blinded by impractical ideals and that his strategy of appeasement gave Hitler the upper hand and almost the entire war. Harris’ portrayal is much more sympathetic and altogether positive, showing Chamberlain as a strong-willed and thoughtful leader and a skilled diplomat whose decisions instead gave Britain the time it needed to rearm properly and face down the Nazi threat when war inevitably broke out. Harris’ characterisations are the strongest parts of this novel and we get compelling and convincing portrayals of all the major players, especially Hitler and Chamberlain’s staff. You also get a good sense of the period. As for the actual story… not so much. Harris is hamstrung by the history he adheres to. The two main characters are fictional diplomatic counterparts who were university friends long ago, Legat the Brit and Hartmann the German, who try to get Chamberlain to stand up to Hitler by force, call his bluff, and the German army, staring both British and French armies in the face, will lead an insurrection against Hitler and thus war is avoided. Because we know that Hitler was never deposed, Harris has to try to make the potential of that plan thrilling and he didn’t really do that. It’s questionable too whether or not such a plan would’ve worked had it been implemented in the first place. Perhaps if they’d tried it and Hitler hadn’t been toppled, Britain’s unprepared forces would’ve collapsed against the Luftwaffe and we’d all be speaking German now? The story is actually quite thrilling here and there in the lead up to Chamberlain trying to delay Hitler’s invasion of the Sudetenland, prior to Munich - the problem is that the book essentially climaxes at the halfway mark! The remaining 200 pages fail to regain the momentum of the preceding 200, and, ironically, the remaining story at Munich is very dry. It’s basically stuffy men in stuffy rooms negotiating stuffy terms, and it’s very dull to read. ‘Munich’ is the latest thriller from the accomplished Robert Harris and is familiar territory for him – set in 1938 pre-war London and Munich. Harris’ latest novel tells the story of Anglo-German relations and negotiations culminating in the Munich agreement signed in the September of that year, with the aim of averting approaching hostilities. Whilst initially somewhat of a slow-burner, Harris soon draws the reader in and cranks up the tension. This fictionalised version of events is set against ‘Munich’ is the latest thriller from the accomplished Robert Harris and is familiar territory for him – set in 1938 pre-war London and Munich. Harris’ latest novel tells the story of Anglo-German relations and negotiations culminating in the Munich agreement signed in the September of that year, with the aim of averting approaching hostilities. Harris paints a very evocative and contrasting picture of both Pre-WWII London and Munich and the novel has his usual feeling of authenticity throughout. From start to finish Harris conveys a great period feeling as you would expect. The characters of Hartmann and Legat and their various (very human) endeavours throughout are well thought out and convincingly drawn. 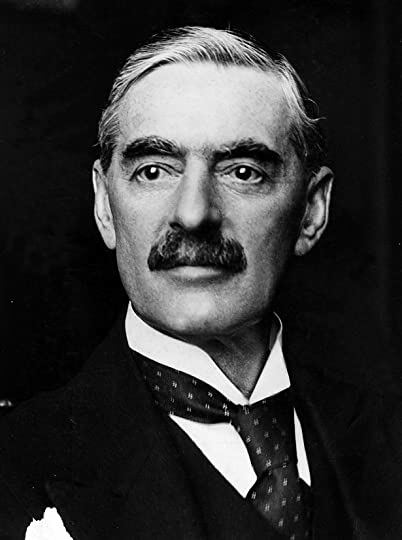 Neville Chamberlain’s political reputation has oscillated significantly over the decades following the signing of the Munich agreement and continues to do so. Robert Harris has had a long held fascination with Chamberlain and the Munich agreement and ‘Munich’ appears to be at least a partial attempt to cement Harris’ view of Chamberlain and this particular period of history. Whether Chamberlain was a truly astute politician and negotiator for peace, or a weak, misguided leader and naïve in his attempts to find peace with Germany clearly remains open to debate. How much this novel contributes to the historical debate is not particularly clear – it is however certainly a fascinating, engaging and thought provoking novel. Prior to reading ‘Munich’ I knew very little about the surrounding historical events – other than the headline/historical news so often shown of Chamberlain and his return and ‘Peace for our time’ speech. Whilst Harris’ novels such as this one are clearly and unashamedly fictionalised versions set against the backdrop of historical truths – part of Harris skill, is not solely his ability to write a great thriller, but his adeptness at making historical events and history feel not only fascinating, but very real and very accessible – the reader can easily identify with events and characters therein. Harris is also particularly skillful at breathing life into the otherwise larger than life historical figures, whether they be Chamberlain, Hitler or the many others he has written about – making them feel very human, very up close and personal – regardless of how attractive or abhorrent we may find them. Whilst ‘Munich’ may not be Harris at his finest, it is certainly not up there with ‘Fatherland’, ‘Enigma’ or the Cicero trilogy – nevertheless it is still an excellent, astutely written and well-paced novel and another valuable addition to Harris already impressive body of literary work – ‘Munich’ is his twelfth novel to date. For avid readers of Harris’ novels and anyone with an interest in this particularly pivotal period of European history – a must read. Τον Ρόμπερ Χάρις τον γνώρισα αφότου είδα την κινηματογραφική μεταφορά του "συγγραφέα φάντασμα" και αναζήτησα το ομώνυμο βιβλίο. Ο τρόπος που συνδύαζε το πολιτικό θρίλερ με μια αγχωτική Χιτσκοκικη, κλασική ατμοσφαιρά με γοήτευσε και έκτοτε τον ακολουθώ πιστά. Ακολουθούσε δε έναν εκ των δύο αφηγηματικών αξόνων που διαμορφώνουν τις ιστορίες του: το πολιτικό δράμα, σχεδόν αποπνικτικά αγχωτικό και τρομαχτικό, και την ιστορία. Η δεύτερη έχει δώσει αμιγώς ιστορικά βιβλία, όπως το Enigma και Officer and Τον Ρόμπερ Χάρις τον γνώρισα αφότου είδα την κινηματογραφική μεταφορά του "συγγραφέα φάντασμα" και αναζήτησα το ομώνυμο βιβλίο. Ο τρόπος που συνδύαζε το πολιτικό θρίλερ με μια αγχωτική Χιτσκοκικη, κλασική ατμοσφαιρά με γοήτευσε και έκτοτε τον ακολουθώ πιστά. Ακολουθούσε δε έναν εκ των δύο αφηγηματικών αξόνων που διαμορφώνουν τις ιστορίες του: το πολιτικό δράμα, σχεδόν αποπνικτικά αγχωτικό και τρομαχτικό, και την ιστορία. Η δεύτερη έχει δώσει αμιγώς ιστορικά βιβλία, όπως το Enigma και Officer and The Spy κλπ, αλλά και αποτιμήσεις εναλλακτικής ιστορίας, όπως το Fatherland, με το Γ' Ράιχ να έχει επικρατήσει και επιβάλλει ένα καθεστώς οικουμενικού τρόμου. Στο Munich ο Χάρις επισκέπτεται την αγαπημένη την περίοδο πριν τον Β΄Παγκόσμιο πόλεμο, τότε που η Γαλλία και η Βρετανία προσπαθούσαν να κρατήσουν τις ισορροπίες στην Ευρώπη και να συγκρατήσουν τις επεκτατικές διαθέσεις της Γερμανίας. Ο Χάρις αρέσκεται σοτ να εστιάζει σε ανθρώπους του παρασκηνίου, σχεδόν καθημερινούς, τους οποίους οι περιστάσεις φέρνουν κοντά στην χύτρα που ζυμώνονται και εκρήγνυνται τα μεγάλα ιστορικά γεγονότα. Ο Χιου Λεγκάτ, προσωπικός σύμβουλος του τότε Βρετανού πρωθυπουργού Τσάμπερλέιν, βρίσκεται στην δίνη των διπραγματεύσεων με το Μόναχο - ο Χίτλερ με πρόφαση τα δικαιώματα των Γερμανών της Τσεχοσλοβακίας, ήθελε να εισβάλει και να προσαρτήσει κομμάτι της Τσεχίας στην Γερμανία. Ο Χάρις παραδίδει ένα εξαιρετικό θρίλερ. Το κατόρθωμα είναι μεγάλο, αν σκεφτεί κανείς πως κρατάει τον αναγνώστη σε αγωνία με περιστατικά τα οποία είναι τετελεσμένα και γνωστά. Πολλά μπορεί, όμως, να πάρει κανείς μαζί του, πέραν της αναγνωστικής τέρψης. Εγώ θα εστιάσω στον ατέρμονο γύρο που κάνουν μοτίβα γεγονότων, τα οποία μπορούν να πουν πολλά για τον άνθρωπο: τα συμφέροντα εθελοτυφλούν μπροστά στα άγριο θηρίο του φασισμού μέχρι που εκείνο γίνεται ανεξέλεγκτο και όλοι δηλώνουν έκπληκτοι, πως "δεν είχαν ιδέα". Ο δόλιος ο Χιου έχει στα χέρια του στοιχεία από την αντικαθεστωτική μερίδα Γερμανών, πως ο Χίτλερ θέλει να αιματοκυλήσει την Ευρώπη προς χάριν της ενθικής καθαρότητας και επιβίωσης του Γερμανικού αίματος. Κανείς, όμως, δεν θέλει να τον ακούσει. This novel is set over four days during the September 1938 Munich Conference where an agreement was signed between Hitler, Mussolini, Chamberlain and Daladier to settle the fate of Czechoslovakia. “Munich” is a tantalising game of “what if” and a glimpse on how things might have turned out. The story is told through the eyes of two men who were friends at Oxford but are now in opposite camps. The main players are Hugh Legat, private secretary to Chamberlain and Paul Hartmann, a diplomat in the This novel is set over four days during the September 1938 Munich Conference where an agreement was signed between Hitler, Mussolini, Chamberlain and Daladier to settle the fate of Czechoslovakia. “Munich” is a tantalising game of “what if” and a glimpse on how things might have turned out. The story is told through the eyes of two men who were friends at Oxford but are now in opposite camps. The main players are Hugh Legat, private secretary to Chamberlain and Paul Hartmann, a diplomat in the German foreign office. With a unique style, Mr. Harris skilfully weaves a gripping fiction with historical events and looks at those four days from both sides. Taking us behind close door is quite an achievement especially when taking something well documented and showing us something else. In this dramatization, both Legat and Hartman’s machinations affect the course of history. The story is quite slow to start with. The first third of the book is hugging the actual facts with grave-faced men coming in and out of their offices and minutia details involving the procedural of the two parties as they navigate the diplomatic path towards the summit at which the Sudetenland would be handed back to Germany. In the later part, when the dual plotline converges and we inch closer to the center of powers we discover Hitler’s true agenda….and more melodramatic scenes occur giving “Munich” a tad of suspense. Even with some excitement the story never reach the level of a high-octane page-turner I love to read. The tale nevertheless brilliantly evokes a sense of place and its vivid descriptions leading to the main event highlight why Mr. Harris is a master novelist who focuses on events surrounding the Second World War. "Yet still he could not act. And if he couldn't do it, who would? In that moment, in a flash of clarity, he saw that nobody--not him, not the Army, not a lone assassin--that no German would disrupt their common destiny until it was fulfilled." 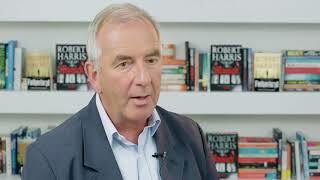 I'm a fan of Robert Harris. He writes smart historical ficiton (sometimes, as was the case with, Fatherland alternative-historical fiction). His areas of interest primarily revolve around Nazi Germany and the Roman Empire. I've read s "Yet still he could not act. And if he couldn't do it, who would? In that moment, in a flash of clarity, he saw that nobody--not him, not the Army, not a lone assassin--that no German would disrupt their common destiny until it was fulfilled." I'm a fan of Robert Harris. He writes smart historical ficiton (sometimes, as was the case with, Fatherland alternative-historical fiction). His areas of interest primarily revolve around Nazi Germany and the Roman Empire. I've read several of his books. His prose is never quite at the John le Carré-level of fiction. But, if you like history and are OK with utilizing fictionalized minor characters to tour you around certain times, his books are certainly not a waste of time or money. Robert Harris's new historical novel Munich takes him back to the subject which brought him to fame over 25 years earlier - Nazi Germany, in which he set his bestselling debut Fatherland. However, whereas Fatherland was an entertaining thriller set in an alternative world where the Axis powers won the war, Munich is set before the war even happens - and is far less thrilling and engaging. In a recent interview the author describes his fascination with the subject of the book, the infamous Munich Robert Harris's new historical novel Munich takes him back to the subject which brought him to fame over 25 years earlier - Nazi Germany, in which he set his bestselling debut Fatherland. However, whereas Fatherland was an entertaining thriller set in an alternative world where the Axis powers won the war, Munich is set before the war even happens - and is far less thrilling and engaging. In a recent interview the author describes his fascination with the subject of the book, the infamous Munich Agreement of 1938, where the representatives of Italy, Great Britain and France agreed to German territorial demands in order to avoid war, at the expense of Czechoslovakia - whose representatives were not invited to the talks. Praised by the British prime minister Neville Chamberlain as "peace for our time", the agreement failed to provide exactly that: Hitler never intended to honor it, and after annexing Czech territory he eventually invaded and occupied the entire country. Less than a year after signing the agreement the German army invaded Poland, beginning what would eventually become World War 2. Because the book centers around real, historical events, most of characters featured in Harris's novel are real historical figures. Although the author inserts appropriate fictional characters to develop a dramatic plot - negotiations can only take us so far - these fictional creations aren't as memorable or interesting as his depictions of real people. His imagined ones - an English and German diplomat, whose interactions with the world around them comprise much of the book - have been provided with plenty of background, but just didn't catch my attention; they really don't stand out in any way. Perhaps that was the author's intent; to present two ordinary people (if by ordinary we can call Oxford-educated men rubbing shoulders with rulers of the world) whose actions can make a difference? However, for me the most interesting character in the book was prime minister Chamberlain, today almost entirely remembered for appeasing a dictator and giving in to his demand. Harris's portrayal of Chamberlain is very sympathetic, although not rose-tinted: he presents him as he was: a conflicted, well-meaning statesman who remembers the horror of the Great War, and is struggling to secure peace and having to make hard moral and ethical choices in order to avoid a terrible conflict for which his nation was woefully unprepared. Harris clearly enjoyed researching the time and period, as the novel is full of atmospheric descriptions which make his locations come alive in detail - however, his plot is where the book unfortunately falters. Since we are dealing with a historical events whose outcome is not changed, there is often preciously little a writer can do with these events - in this case, invent a conspiracy which aims to stop the agreement from being signed. In the interview mentioned earlier, Harris talks about The Day of the Jackal as being the most successful post-war thriller based on real events (in that case the assassination attempt on Charles De Gaulle). However, I don't think the comparison is fair - Frederick Forsyth invented an elaborate, tense and engaging conspiracy to kill the French president, compared to which Harris's plot simply doesn't measure up. There is very little of what could be described as action in the book, whereas Forsyth's novel captures the reader's attention from the first page to the last. This book is a fictionalized account of the four-day period in 1938 during which Germany, England, Italy and France negotiated the Munich Agreement in an attempt to prevent World War II by allocating some territories in Czechoslovakia to Germany. It also involved the Oster Conspiracy comprised of a collection of German military leaders and diplomats who planned to remove Hitler from power. The signing of the Munich Agreement thwarted the plans of the conspirators. Since this is based on history, This book is a fictionalized account of the four-day period in 1938 during which Germany, England, Italy and France negotiated the Munich Agreement in an attempt to prevent World War II by allocating some territories in Czechoslovakia to Germany. It also involved the Oster Conspiracy comprised of a collection of German military leaders and diplomats who planned to remove Hitler from power. The signing of the Munich Agreement thwarted the plans of the conspirators. Since this is based on history, we know from the start that nothing kept Hitler from starting the war, but the author still managed to build tension and maintain suspense. The book was also very entertaining and piqued my interest in this pre-war period, about which I was ignorant. The historical events are seen from the points of view of two fictional characters, young diplomats (and former schoolmates). Hugh Legat was a low level English diplomat and interpreter who worked at Number 10 Downing Street. He watched as Chamberlain desperately tried to come up with a way to prevent a war for which England was unprepared. The trip to Munich was a last ditch effort to keep Hitler from attacking Czechoslovakia. Paul von Hartmann was a German diplomat who handled correspondence for German Foreign Minister Ribbentrop. He was also one of the conspirators. I've read other books by this author and I almost always like them. This one was one of my favorites. On the third page of Robert Harris' novel, a woman tells her husband she has been having the children fitted for gas masks. The year was 1938, Germany was poised to invade Czechoslovakia, and it looked as though Britain would be at war at any moment. I remember those masks, made to look like Donald Duck to be less frightening. War broke out only a year later, and I grew up in it. And came to absorb the common notion that Neville Chamberlain, the Prime Minister at the time, was weak in appeasing Hitler, and fatuous in hailing the agreement signed in Munich as "Peace for our time." The greatest thing that Harris has done, in my opinion, is to rehabilitate Chamberlain. Those parts of the novel that trace his actions hour by hour through the four days of the Munich crisis are gripping and totally convincing. They show Chamberlain to be strong, principled, and considerate. But they also show him to be wily, and to have a far better sense of Realpolitik and the psychology of his opponent than history gives him credit for. He also understood the weakness of British preparations at the time and the difficulty of mobilizing popular support for a war based on events on the other side of Europe. Whether in the cabinet room, a private discussion, his speech to Parliament, or the fraught meetings in Munich, Harris presents Chamberlain as energetic, able to think on his feet, and following a clear sense of direction, perhaps not idealistic but certainly pragmatic. Perhaps I could have got much of this from more recent history books, or even from the documentary, God Bless You, Mr. Chamberlain, that Harris himself made for the BBC in 1988. But he is primarily a novelist, and fiction is my preferred reading—if I have confidence that it the fiction remains true to the basic facts, which with Harris is always the case. Indeed, I think he is best when adhering closest to truth. The most effective of his books, I feel, is An Officer and a Spy, about the Dreyfus Affair. It has a hero, Major Marie-Georges Piquart, straight out of Ken Follett or Frederick Forsyth—but in fact, he was a real figure. Generally, though, Harris adds one or more fictional characters among the real ones, both for their viewpoint and to propel the plot. Here there are two, one English, one German; they are not both equally successful. The English character is a young man named Hugh Legat, a linguist in the Foreign Office seconded to Downing Street for a few months. Because of his fluent German and sharp intelligence, he has a knack of being in the right place at the right time. Legat's ability to illuminate the action without hijacking it made me read the chapters dealing with the British side with eager interest. Not so the alternate chapters dealing with Germany. Hugh's opposite number in the German Foreign Ministry, Paul von Hartmann, is actually a former friend of his at Oxford, though they have fallen out of touch. This is all perfectly plausible, and the scenes in which Paul acts as a similar observer of affairs in Berlin are equally strong. But Harris feels the need to make Paul a member of a resistance cell hoping to use the occasion to trigger a Putsch that would depose Hitler. I know there was covert resistance to Hitler well into the war, so this is not impossible, but I question whether it was necessary here. Harris manages the thriller element well enough, but I felt he was merely riffing through the tropes. Why bother dipping into genre fiction when he has the rare skill to make even the business of historical diplomacy as gripping as any thriller? Munich is a book that I read quickly, probably because the book was not that thick, but I have to admit that I was also totally captivated by the story set during four days in September 1938. Robert Harris is a writer who has the ability to write books, whether it's historical or more modern, that captivate and Munich is definitely no exception. Something I thought while reading the book was how little I really knew about the Munich agreement or, probably more accurately, I remembered, and I was Munich is a book that I read quickly, probably because the book was not that thick, but I have to admit that I was also totally captivated by the story set during four days in September 1938. 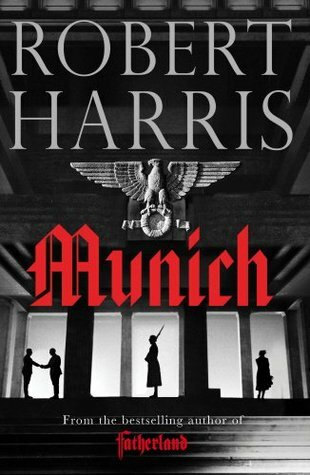 Robert Harris is a writer who has the ability to write books, whether it's historical or more modern, that captivate and Munich is definitely no exception. Something I thought while reading the book was how little I really knew about the Munich agreement or, probably more accurately, I remembered, and I was fascinated to read how Chamberlain really sought to preserve peace in Europe, while Hitler seemed to strive to go to war. I found the story to be very compelling, while the men of power are planning a meeting in Munich, things are happening off the scene. Not everyone in Germany is on Hitler's side and some of them wouldn't mind getting rid of him. For Hugh Legat, one of Chamberlain's private secretaries, will these four days become very intense when an old friend contacts him again. Paul Hartmann, German diplomat and member of the anti-Hitler movement. Can they stop Hitler's plans? Munich is captivating, well-written and memorable. I'm particularly impressed with the personality descriptions and especially Chamberlain whose will was to preserve peace at any price. Was it cowardly to sign the Munich Agreement to ignore the signs that this is only a respite? Well, we have the luxury of being able to look back and know that nothing had stopped Hitler and I have to admit that I feel sympathy for Chamberlain and his peacekeeping attitude. This historical novel develops the behind-the-scenes drama leading to the 1938 Munich Agreement signed by Germany, France, United Kingdom and Italy which permitted Nazi Germany's annexation of portions of Czechoslovakia (a.k.a. Sudetenland). Many people today consider the famous reference to "peace for our time" by British prime minister Neville Chamberlain following the agreement as a shameful mistake with historic consequences. This book provides some very understandable insight into Chamberla This historical novel develops the behind-the-scenes drama leading to the 1938 Munich Agreement signed by Germany, France, United Kingdom and Italy which permitted Nazi Germany's annexation of portions of Czechoslovakia (a.k.a. Sudetenland). 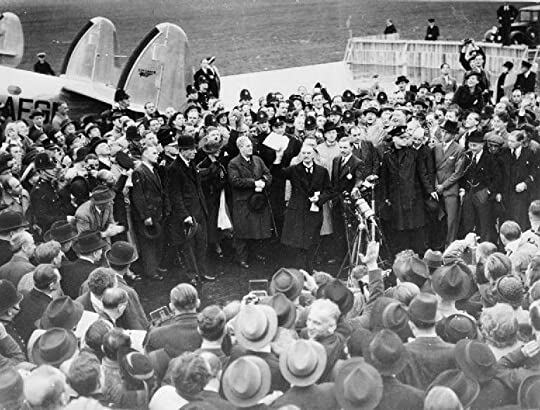 Many people today consider the famous reference to "peace for our time" by British prime minister Neville Chamberlain following the agreement as a shameful mistake with historic consequences. ~"What a day this promises to be," he said quietly. "You know, I would gladly stand up against that wall and be shot if only I could prevent war." ~"Neville—really—please don't say such things!" Mrs. Chamberlain looked as if she were about to burst into tears. ~The Prime Minister said to Legat, "You were too young to fight in the last war, and I was too old. In some ways that made it worse." He glanced up at the sky. "It was an absolute agony to me to see such suffering and to be so powerless. Three-quarters of a million men killed from this country alone. Imagine it! And it wasn't just they who suffered, but their parents and their wives and children, their families, their friends . . . Afterwards, whenever I saw a war memorial, or visited one of those vast cemeteries in France where so many dear friends are buried, I always vowed that if ever I was in a position to prevent such a catastrophe from happening again, I would do anything—sacrifice anything—to maintain peace. You can understand that?" ~"This is sacred to me." ~"And it all happened only twenty years ago!" He fixed Legat with a gaze almost fanatical in its intensity. "It's not simply that this country is militarily and psychologically unprepared for war—that can be remedied—we are remedying it. It's rather that I truly fear for the spiritual health of our people if they don't see their leaders doing absolutely everything they can to prevent a second great conflict. Because of one thing I can assure you: if it comes, the next war will be infinitely worse than the last, and they will require great fortitude to survive it." Of course the suspense of this book lies not in whether the agreement will be signed. That's well known history. Rather, this book takes what is known about the Oster conspiracy and combines it with known details of the Munich negotiations to develop a plot which shows how close history came to going into a different direction. At this point I am placing my continued description of the plot within this (view spoiler)[. Ironically, both the British and German militaries were telling their leaders that they were not prepared for war. The difference with Germany was that their leader, Hitler, didn't let that stop him from making demands with deadlines that would lead to war with Great Briton and France. The German army officers involved in the Oster conspiracy were convinced that Germany wasn't ready to fight a war. Thus, they decided that if Hitler ordered the mobilization of military forces for invasion of Czechoslovakia they would instead stage a coup, remove Hitler from power, and install Wilhelm II in power. But if Great Britain and France capitulated and let the annexation take place without war, they would not act. In this novel there are opponents of Hitler within the German Foreign Ministry who very much want Hitler deposed, so they arrange for a low level aid accompanying the German delegation to Munich to carry documentation proving that Hitler plans continued wars of conquest. Along with this is the verbal assurance that that the military will not carryout a mobilization order from Hitler. Thus, it is important that Britain and France not agree to the annexation and force Hitler to order military action in order for the coup to take place. This low level aid does indeed reach Chamberlain's hotel room at great risk to himself. He is introduced to Chamberlain by an acquaintance who is part of the British delegation. Unfortunately, Chamberlain is astounded that a German has reached his room and bothered by that fact that nobody else knows about the information being presented to him. ~"He's here?" The Prime Minister glanced up sharply. "Does Sir Horace know about this, or Strang?" Once the agreement is signed the story isn't finished. The novel continues with some additional drama that keeps the reader's attention. Set shortly before WWII in 1938, fear is the tool that fuels the minds and hearts of political leaders and people. Gas masks are fitted for children in London, trenches are dug and fighter plane capabilities are sorted out. Hitler wants to expand Germany and demands the Sudetenland region by Czechoslovakia to be taken with via surprise attack. Timely among factual events happening in the world, the narrative is told by the views of two main fictional characters, one British and one German. Hugh Legat, senior diplomat for the British delegation speaks German fluently, and Paul von Hartman, part of Hitler’s diplomats. The two men know each other and have been friends since their studies at Oxford University. What becomes eminent close to the beginning is the fact that Hartman is part of a group of military officials in Berlin that wants to overthrow their German leader. The two characters could not be more different from one another, as Legat seems the demurer one and Hartman risks his life in his endeavor to pass Hitler’s plans on to the British in his aid. Focused less on military strategy, this novel gives a glance and the ‘what if’ situation that could have perhaps changed the course of history. It implies the idea that if there had been such undertaking as the two characters in the novel working together courageously spying and passing on information and actually acted at the right momentum, all could have been different. Very well researched, Harris took a lesser known event that happened in Munich and spun this fictional novel of a crisis that could have been averted into Munich. Hartman is glad to find out that Legat is on his way to Munich to attend the diplomatic meeting between Minister Neville Chamberlain and Hitler in an attempt to preserve peace in Europe. Hitler signs the agreement “to never go to war with one another again” and Chamberlain feels assured that peace will be achieved. The novel gives an atmospheric glance of its time and place. While we learn more in depth what the different characters are made off it gives way to the sultry and rich read it is. There are many nuances and details that depict Hitler’s demands and expectations spread throughout the novel. It touches on his relationships, hygiene, aesthetics and intimidations. The two main characters have their personal struggles along the way. Harris’s way of ending chapters on little cliffhangers makes this read almost a page turner. Almost….this book was in the middle lane for me. I don’t love it, but by interest I am bound to like it. I appreciate the authors note at the end with all the research that went into the making of this novel. This was my first of his novels, and ambitiously I may tackle ‘Fatherland’ in the future. The ability to seamlessly blend fact & fiction is a skill that Robert Harris has shown in many of his previous novels, & I'm pleased to say that Munich is no exception. 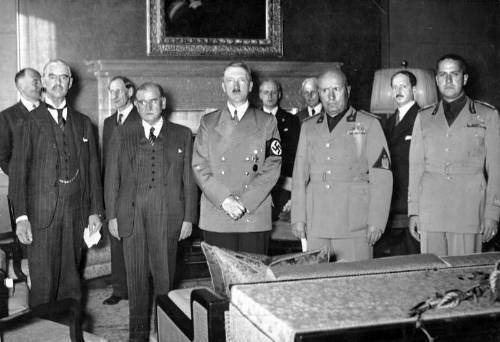 The events of the 1938 Munich meeting between Hitler & Chamberlain are given added tension (because we already know the outcome) by inserting fictional characters into a real historical situation. This may not be a classic novel like Fatherland or Imperium, but Harris still springs enough surprises to keep the reader e The ability to seamlessly blend fact & fiction is a skill that Robert Harris has shown in many of his previous novels, & I'm pleased to say that Munich is no exception. This isn’t my favorite book by Harris, but it is well worth the read, especially after viewing the recent movie, The Darkest Hour. Both take place over the span of a few days. Both bring to life the political and personal struggles that take place behind the scenes of England’s leadership prior to and at the precipice of war. In Munich, Chamberlain becomes a hero even among the German people for cunningly persuading Hitler to sign the Munich Agreement thus ( supposedly) postponing war. The finely researched historical events are carried along by the story of two friends who attended Oxford together six years prior yet now find themselves on opposite sides of the delegations. The book is a great backdrop for the movie. Little did Chamberlain know that within less than 2 years, his celebrity status would no longer exist, yet he and Halifax insisted on continued peace talks with Germany. They despised Churchill and insisted he sign a statement that he refused the idea of peace negotiations. I’m amazed they believed at that point negotiations were still a valid option. ‘Munich’ coupled with ‘The Darkest Hour’ gives insight to seemingly small but hugely important details that brought about a major historical event. It's September, 1938. Hitler has delivered an ultimatum – the Czechs must withdraw from the disputed Sudetenland and cede it to Germany, or Germany will forcibly annexe it. Britain is torn – if Germany carries out its threat, there will inevitably be Europe-wide war, a war for which the British armed forces are woefully under-prepared. The British PM, Neville Chamberlain, must find a way to maintain the fragile peace, even at the expense of appeasing a regime that is already showing the hideousness of its true colours. But in Germany too, the Army is not ready for war, so Hitler faces his own pressures to come to an agreement. People on each side are warning that any agreement will probably be short-term – Germany will not stop its expansion ambitions at the borders of the Sudetenland. Delay will give both nations a chance to go into the war better prepared, but Hitler is unpredictable in the extreme and seems determined to proceed whatever the cost. As the two nations warily circle each other, two young men will play a secret role. Hugh Legat is a secretary in the British Foreign Office; Paul Hartmann is his equivalent in Germany. They know each other well – they studied together in Oxford and have a shared history that will be slowly revealed. And now they will find themselves thrown together again, in a shadowy world of secret deals and betrayals that may determine the course of history. As always, Harris shows himself a master of riveting storytelling. The book is in fact a fairly straightforward account of the events leading up to and at the Munich conference where Hitler, Chamberlain and a few of the other European leaders met to determine the fate of the Sudetenland. Anyone of my generation will know the outcome, but I'm going to try to leave it a little vague, since the book would work, I think, as a good thriller for those younger people who may not. In truth the fictionalised aspect – the story of Legat and Hartmann – is rather lightly tacked on and in my opinion doesn't add much. It feels as if it's only there to justify the book being considered 'fiction'. But the basic story is so compelling, I didn't feel it needed much fictionalisation anyway, so that aspect didn't bother me. What Harris does so well is bring the historical characters to life and take the reader deep into the complexities that faced them. Because WW2 did eventually happen and Churchill, the arch-opponent of appeasement, was ultimately proved right in his long-term predictions, Chamberlain has had a bad rap in this country – remembered as a weak, deluded man who allowed Hitler to manipulate him, largely because that's how Churchill portrayed him. Harris doesn't mess with the historical facts (as far as I can tell – I'm far from being an expert about this period of history), but he takes a more nuanced view of Chamberlain's character, delving into his reasons, personal and political, for acting as he did. I found it entirely believable and oddly moving – the intolerable pressures we put on our leaders, and our unforgiving criticism if they fall short in any way. Churchill doesn't appear as a major character, but is there in the background. Hindsight makes the heroes and villains of history – at this point, it still wasn't clear if Churchill was right that war was inevitable or if Chamberlain was right in hoping that peace could be maintained. Britain – Europe – hadn't yet recovered from WW1, and there was little appetite for more war in most countries. The Munich conference itself is brilliantly depicted – Harris has the skill to allow the reader to become the proverbial fly on the wall. We see it mostly from the British perspective, and meet some of the more junior people there who would become leaders in their own right over the following decades. Hitler and his closest henchmen are mostly seen through the eyes of others rather than directly, and again Harris gives a somewhat more balanced view than the caricature Hitler is sometimes presented as. I don't for one moment mean that Harris tries to whitewash him, but he shows how Hitler rose to power on the promise to make Germany great again after the humiliation of WW1 and the economic disasters that followed, caused partly by the war itself and partly by the terms of the peace treaty forced on them. But Harris also shows that there was opposition even at this point – a significant minority who recognised the evil of the regime and were doing what they could to stop him. I found this another completely absorbing read from Harris. I feel as if I have a much better knowledge of this crucial moment in European history and a deeper understanding of the personalities involved, especially Chamberlain. The joy of Harris' writing, though, is that it never feels like he's teaching or preaching – despite the plot being light and a little under-developed, it still allows him to make the story read like a thriller, with enough uncertainty so that there's a real feeling of suspense even for people who know the historical outcome. I suspect that people who prefer an intense plot might feel a little disappointed. But for people who are more interested in the fascinating and entirely credible portrayal of the real people and events, I recommend this wholeheartedly. A great read. 4½ stars for me, so rounded up. Mention Neville Chamberlain and Munich in the same breath today, and you're likely to elicit a grimace. The agreement in 1938 between the British Prime Minister and Adolf Hitler to dismember Czechoslovakia is regarded as one of the most shameful and tragic events of the 20th century. But is it fair to condemn Chamberlain without understanding his motivation or the context of the times? The British thriller author Robert Harris has been exploring that question for thirty years. The result is his Mention Neville Chamberlain and Munich in the same breath today, and you're likely to elicit a grimace. The agreement in 1938 between the British Prime Minister and Adolf Hitler to dismember Czechoslovakia is regarded as one of the most shameful and tragic events of the 20th century. But is it fair to condemn Chamberlain without understanding his motivation or the context of the times? The British thriller author Robert Harris has been exploring that question for thirty years. The result is his new novel, Munich. The book is not an alternative history like his popular novel, Fatherland. It's fact-based historical fiction. Why did Neville Chamberlain go to Munich? Harris based his novel on extensive reading about the Munich conference and the principal characters involved in it, which he details in a long bibliography in his Acknowledgements. Moreover, recent research suggests that if Britain and France had gone to war against Germany in 1938, the result would have been devastating. It's true that the Nazi invasion of France and the Low Countries in May 1940 and the Battle of Britain that followed were disastrous for the Allies. However, the nearly two-year delay Chamberlain achieved at Munich allowed Britain to equip and staff the Royal Air Force just enough to stave off a German invasion of the island in September 1940. Harris implies that Chamberlain was fully conscious that war would come. He sought only to gain time. Harris builds his story around two central characters, one English, the other German. Hugh Legat is the most junior of Neville Chamberlain's three Private Secretaries; he serves essentially as a gofer but is pressed into service at times as an interpreter and, even more rarely, as a wordsmith. Paul von Hartmann holds a similarly junior post in the German Foreign Ministry; he despises the Nazis and has joined a conspiracy to depose Hitler. The two young men had been classmates and friends at Oxford. They'd last seen each other in 1932 on a vacation in Germany. Von Hartmann has secured a document that proves Hitler's intention to expand Germany's borders through war regardless of any international agreements. With the help of his collaborators in the anti-Nazi conspiracy, he travels from Berlin to Munich in hopes of delivering the document directly to Neville Chamberlain. Through their connections in London, the conspirators have contrived to arrange for Legat to be assigned to attend the conference, too. Von Hartmann expected Legat to help him get to Chamberlain. Harris builds a suspenseful story around the effort to arrange that. Legat and von Hartmann are both fictional characters. However, many of the other figures portrayed in Munich are based on real men. 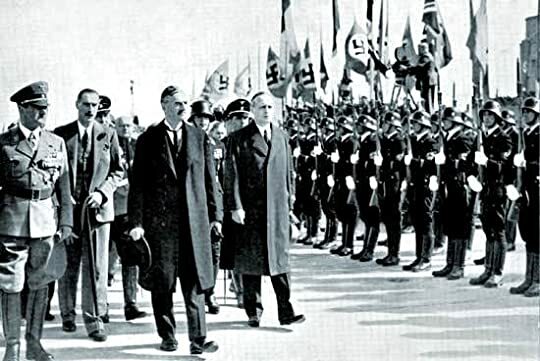 Prominent among them are British Foreign Secretary Lord Halifax and German Foreign Minister Joachim von Ribbentrop, as well as Chamberlain, Hitler, Mussolini, and French Premier Daladier. The author's portrayal of these historical figures is solidly grounded in his research. For those who are familiar with the works of Robert Harris they are aware of how the author develops fictional characters that are integrated into important historical events. He has the knack of developing individuals like Xavier March in FATHERLAND, George Piquart in AN OFFICER AND A SPY, Tom Jericho in ENIGMA, and Fluke Kelso in ARCHANGEL in presenting accurate scenarios that make one feel that these characters are real. Harris is a master of historical fiction, but his new characters Hugh Le For those who are familiar with the works of Robert Harris they are aware of how the author develops fictional characters that are integrated into important historical events. He has the knack of developing individuals like Xavier March in FATHERLAND, George Piquart in AN OFFICER AND A SPY, Tom Jericho in ENIGMA, and Fluke Kelso in ARCHANGEL in presenting accurate scenarios that make one feel that these characters are real. Harris is a master of historical fiction, but his new characters Hugh Legat and Paul von Hartmann in his latest novel, MUNICH are somewhat lacking in reaching the standard for fictional historical characters when compared to previous novels. Perhaps one of the most surprising aspects of Harris’ presentation is his portrayal of Chamberlain’s raison d'tre in dealing with Hitler. He does not see Chamberlain as an appeaser but a skillful negotiator who stalls for time as he gets Hitler to agree to a settlement with the Czechs over the Sudetenland, and also accepts the concept of a stronger Anglo-German approach to peace. In fact in a recent interview (January 19, 2018) on NPR’s “Morning Edition” Harris argued that Chamberlain was the victor at Munich because the war was postponed for a year allowing the English to gain the support of the Dominions and the Empire as a whole, and provided time for the British military production to begin to catch up with Germany. Further he argues Hitler never wanted to go to Munich, but once Mussolini introduced a conference to settle differences, the Fuhrer had no choice but to attend and forgo Operation Green, the seizure of the Sudetenland and Czechoslovakia as a whole. Harris’ discussion raises the arguments of British historian A.J.P. Taylor whose 1961 book THE ORIGINS OF THE SECOND WORLD WAR was greeted with disdain at the time of its publication. In a nutshell, this is a revisionist history of the 1938 Munich Agreement masquerading as a World War II thriller. The action covers four days at the end of September 1938, when British Prime Minister Neville Chamberlain flew to Germany to meet Adolf Hitler and the Prime Ministers of France and Italy - Édouard Daladier and Benito Mussolini. Their aim was to settle the question of Nazi Germany's annexation of portions of Czechoslovakia along its' borders which were mainly inhabited by German spea In a nutshell, this is a revisionist history of the 1938 Munich Agreement masquerading as a World War II thriller. The action covers four days at the end of September 1938, when British Prime Minister Neville Chamberlain flew to Germany to meet Adolf Hitler and the Prime Ministers of France and Italy - Édouard Daladier and Benito Mussolini. Their aim was to settle the question of Nazi Germany's annexation of portions of Czechoslovakia along its' borders which were mainly inhabited by German speakers This would leave a new territory, named the "Sudetenland", which would subsequently become part of the German Reich. In a sub plot, a group of senior military officers and civil servants are plotting to overthrow Hitler and seize power, with the aim of restoring the German monarchy. One of their number is Paul von Hartmann who - through his time spent as a Rhodes scholar at Oxford University - is acquainted with a young British member of the Diplomatic Service, Hugh Legat. The plot thickens when these two become involved in a bid to contact the British Prime Minister to show him official German government documents which prove that Hitler has already made plans to bring the whole of Czechoslovakia into the German Reich, with a view to expanding Germany's territory into Eastern Europe. By use of original speeches and documents from the Munich Conference along with newspaper articles and editorials from that time, the author Robert Harris presents an alternative view of events in which Chamberlain explains that his actions in obtaining the promise of "Peace for our time" (often misquoted as "peace in our time") from Hitler were based on the fact that if the Nazi leader reneged on this promise, he would be exposed and “the world will see him for what he is” - completely ignoring the fact that Hitler cared for nothing but power and the continuance of the Third Reich. Truly brilliant. A contender for book of the year. Munich routinely gets trotted out with the moral that we (the U.S.) need to never appease evil and instead always preemptively attack potential evildoers all over the place. This ignores the reality that France and England were not equipped to attack Nazi Germany in 1938 and that nobody in their right mind (especially in the isolationist U.S.A.) wanted another World War. Harris does a good job of getting this background across, including clearly representing how popular the Munich accord was at the time. There's one little paragraph in "Munich" about the remilitarization of the Rhineland in 1936. I think that was the tipping point for squashing Hitler without another World War. I would like a whole book about that. The problem with historical fiction is that we know what happened. The story tension here is supposed to come from a plot to assassinate Hitler before WWII. Well, guess how that turned out. I think it would have been much richer if Harris had included the tension with Daladier, who argued all along that Hitler wanted to conquer Europe and who called the crowds celebrating him on his return from Munich "shitheads" (loosely translated). As it is, I'm still not too clear from this book to what extent Chamberlain believed his own BS about "peace for our time." But I guess it doesn't really matter because Munich was too late for any good options anyway. I have always enjoyed books by Robert Harris. I particularly enjoyed reading his Imperium Trilogy about Cicero. Harris is a master of historical novels. Munich is the German City where British Prime Minister Neville Chamberlain met with Adolf Hitler in September 1938 in a desperate attempt to preserve peace in Europe. This meeting is the focal point of this book. The meeting was to discuss Hitler’s demands that the Sudetenland region of Czechoslovakia be handed over to Germany. Harris used two fi I have always enjoyed books by Robert Harris. I particularly enjoyed reading his Imperium Trilogy about Cicero. Harris is a master of historical novels. Munich is the German City where British Prime Minister Neville Chamberlain met with Adolf Hitler in September 1938 in a desperate attempt to preserve peace in Europe. This meeting is the focal point of this book. The meeting was to discuss Hitler’s demands that the Sudetenland region of Czechoslovakia be handed over to Germany. Harris used two fictional characters: one English, Hugh Leget; one German, Paul Von Hartmann. The two had been friends while attending Oxford and now serve as aides to the real-life senior diplomats. The book is well written and researched. Harris is a master at weaving fictional characters into a historical situation so the reader is able to develop a personal understanding of the event. The characters are interesting and the plot is clever. Harris takes his time developing the story, but then it takes off at a rapid pace. I was sad when the story ended. I wanted it to continue. I guess I got carried away with the storyline. I thoroughly enjoyed the story and highly recommend it. I read this as an audiobook downloaded from Audible. The book is just over nine and a half hours. David Rintout does a good job narrating the book. Rintout is a Scottish stage and television actor and audiobook narrator. I've been a Robert Harris fan since "Fatherland" and "Enigma", though I was very disappointed in his latest book, "Conclave". I gave it two stars, I think, writing that it was almost cartoon-like in its paper-thin characters and non-sensical plot. I was hoping the just published book, "Munich" would be better. Unfortunately, it isn't. There are two ways of writing history; non-fiction straight history and historical fiction. With historical fiction, the author takes a real event or person, and we I've been a Robert Harris fan since "Fatherland" and "Enigma", though I was very disappointed in his latest book, "Conclave". I gave it two stars, I think, writing that it was almost cartoon-like in its paper-thin characters and non-sensical plot. I was hoping the just published book, "Munich" would be better. Unfortunately, it isn't.